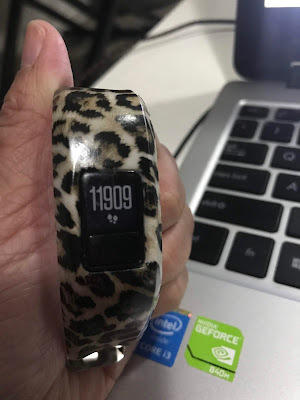 My Garmin Vivofit 3- 11,909 steps today! 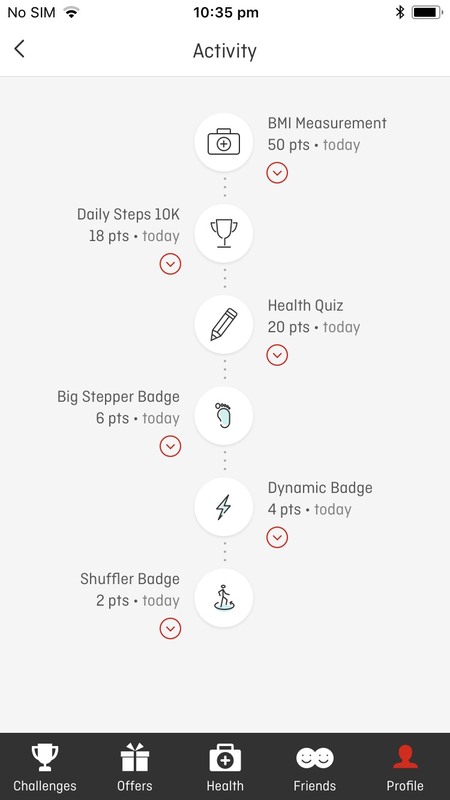 Did you know that you can earn rewards with your fitness tracker? About a year ago, I went with Leigh, a friend of mine to a local electronic retailer in Hoppers Crossing. I was thinking to get a Fitbit. Fast forward to one year later, it turns out that Garmin is now retailing the upgraded version: the Garmin Vivofit 4. Let me tell you how my Garmin Vivofit 3 has been of much benefit to me in the last one year despite my misgivings. Before having a fitness tracker (like the Garmin Vivofit 3), I had to carry a clunky huge arse mobile phone on my arm or in my phone. With just a fitness tracker, I didn't have to worry about carry anything apart from ensuring there was enough juice in my watch (which had never been a problem). The data on my fitness tracker is uploaded and synchronised into the Garmin Connect site app on my mobile phone each evening. Through the Garmin Connect app, it is able to link to various different platforms which enables the process of sharing the data across the different platforms more automated and streamlined. For every 10,000 steps recorded on your fitness tracker, members of Medibank policy holders, and Flybuys are eligible to receive 10 points. 10 points might not seem much, but if you were to go to the supermarket, you'd only get 10 points with every $10 purchase. 2000 Flybuy points is worth $10.00 in real credit, so 10 points is about 5 cents. Different fitness activities to earn points from. 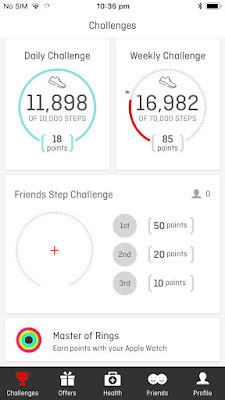 Qantas Insurancee has released a mobile app for the health conscious who also use a fitness tracker. You can also use a mobile phone and download the app for that purpose as well. 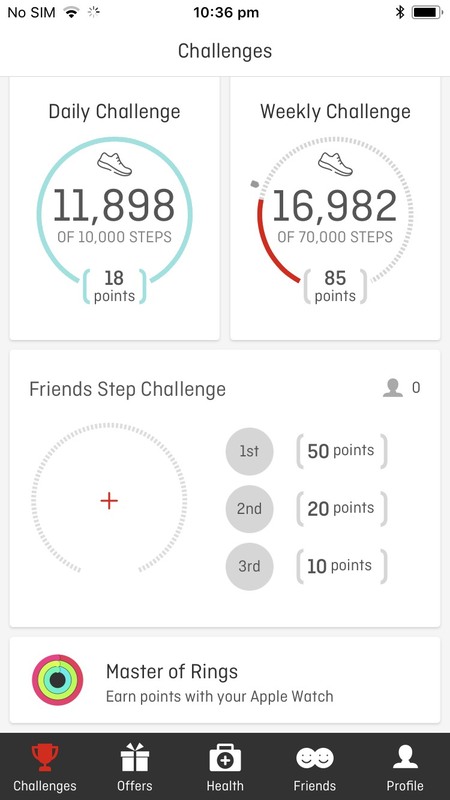 Members of the Qantas frequent flyer club can also earn points from the various fitness activities achieved through its mobile app. These points can then be utilized as credit towards Jetstar and Qantas flights, redeem items from the Qantas Store, or even redeem for credit towards menu items at Rockpool Dining Group restaurants across town. 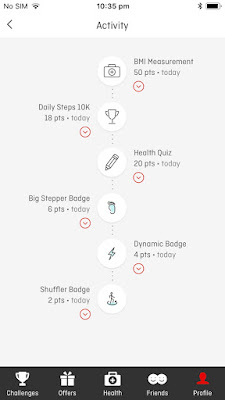 Running Heroes also has a rewards programme for those who use a fitness tracker. I have won quite a number of prizes from participating in the Running Heroes running competition. If you are a fitness aficionado, you can win coins to put towards getting discounts for premium fitness apparel, supplements, footwear and skincare products. Will I Upgrade to Garmin Vivofit 4? I am quite happy with my current Garmin Vivofit 3. Apart from a new weather widget, and an alarm function in the Vivofit 4, all the functions are the same anyways. I am quite happy to wait till at least Garmin Connect discontinues all support for the Vivofit 3 then will I upgrade. Do you have a fitness tracker, and how do you use yours?